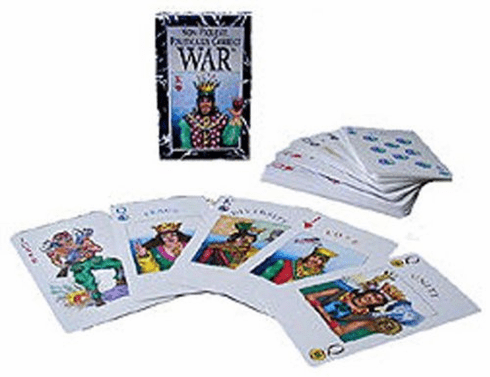 War has changed over time, but the card game bearing its name hasn't changed since it was first played in the 14th century - until now! For the first time, War incorporates Love, Peace, Diversity, and Unity! It's a whimsical twist on an age-old card game. Compete to get rid of your cards first, while trying to avoid the heavily-armed Joker (the weakest card). Card deck features beautiful, entertaining illustrations.